One more solution from Europe to South East Asia on Royal Jordanian (See our deal to Thailand already for €355 or £335) this time to Kuala Lumpur. Round trip flights from London, Amsterdam, Paris, Rome. Madrid, Berlin, Frankfurt, Vienna, Athens or Copenhagen are available from £331 or €358. This is inclusive of all taxes and fees and checked bag. Note that except layover in Amman there is additional stop in Bangkok in both directiions. Unfortunately no multi-stop is allowed. Need affordable solution to Malaysia next main tourist season 2018/2019 do not miss this promotion of Royal Jordanian (Oneworld alliance) and book cheap flights from Europe to Kuala Lumpur! Travel period to Kuala Lumpur with Royal Jordanian is same as to Thailand. Loo for flights departing from Europe to Malaysia between 11th of January to 22nd of May 2019. However this time the availability in January or February is very low on most of the routes. Blackout period 12th of April to 5th of May. Max stay 30 days. Promo sale is running till 14th of December or until sold out..You can book some affordable accommodation in Kuala Lumpur via Booking.com or Hotels.com. Below you can refer to our booking sample from each of the European city to Malaysia. Travel dates vary by each of the origin city but you can easily compare directly at website of Royal Jordanian. Booking sample of Royal Jordanian promotion to South East Asia. 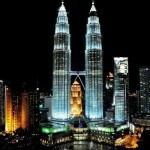 Return flights from Europe to Kuala Lumpur, Malaysia from £331 or €358! As per our booking sample you would depart from London to Kuala Lumpur on 3rd of February and return from South East Asia back to the United kingdom on 18th of February 2019.